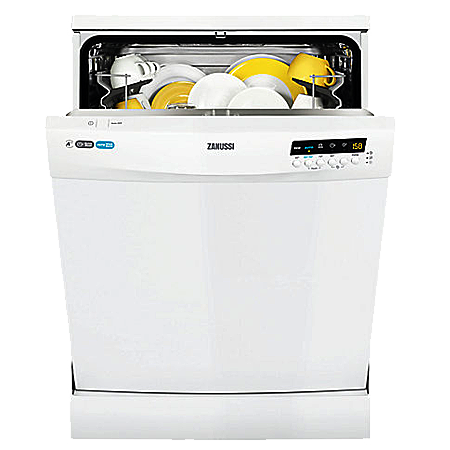 The Zanussi ZDF26011WA dishwasher is rated A++ for energy efficiency and has 13 place settings. Flexible baskets allow you to fit the maximum amount of dishes inside the dishwasher, ideal for when you need to wash particularly large items. This also allows you to save resources, as you can wash more in a single load. 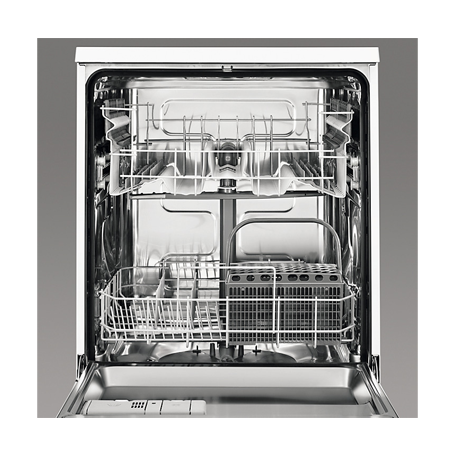 With an automatic programme, this dishwasher makes washing dishes easier, as it will automatically select appropriate settings for you to save you time and effort. This function gives an intensive wash at 70 degrees for maximum hygiene. This function cleans your dishes at 60 degrees in just 30 minutes, great for when you need your items clean in a hurry. This dishwasher features soft spikes to protect your glasses and other delicate items. To make sure you dont accidentally leave the dishwasher running, the auto switch off function will turn it off if it has not been in use for a period of time. This helps to save energy.